Is Your Best, Your Best? How do you change a loser into a winner? This is a question that has intrigued me for decades as a sports fan and a business owner. I think the question can be refined today to, “how do you change a non-winner into a winner?” or, “how do you transform mediocrity into superior performance?” Winning doesn’t mean a championship, and success in business can be defined as longevity and happiness with performance, even if the owners do not get mega rich. But there is a mindset in sports or business or academia that consistently moves the needle toward success vis a vis one’s peers. This attitude was exemplified and articulated quite brilliantly by Joe Maddon, considered by many to be the best manager in Major League Baseball by his stewardship of the Tampa Bay Rays and now the Chicago Cubs. A few days ago, a Cubs pitcher named Tsuyoshi Wada was starting a game and the team took a 6-0 lead in the first inning. Maddon watched each pitch intently as he always does and noticed Wada was not sharp. Wada gave up a home run and his pitch count for three innings elevated significantly. With the Cubs leading 6-3 Maddon told Wada in the dugout that he was finished after just three innings, thus he could not get credit for the win because he did not pitch the necessary five innings. The Cubs bullpen pitched the final six innings and the team won the game, but not Wada in the score books. Joe Maddon was asked about his decision to lift the starter the next day and relished the opportunity to state his reasoning. He stated forcefully that he wanted to illustrate clearly to a young team that had been the epitome of failure and non-success for 100 years that mediocrity was no longer the norm. Wada was not on his game and his previous record did not indicate that he would be able to reverse course. He was not trying to get Wada a win, he was determined to get the Cubs a win, and he would do everything possible to insure that. One more win could be the difference between making the playoffs or not. Maddon’s actions were a message to all of the players that the team was no longer in rebuilding mode. They were supposed to go all out every day, every play, if they wanted to be winners. As an owner and manager of two businesses I find this attitude inspiring and scary, because I know Maddon is right on and I know that I often take a different approach. I do not always challenge myself or my people to go all out, all the time. Honestly, at 70, I don’t feel like I can be “all in” every day. Therefore, I tend to give my employees a pass at times to clock watch and sometimes go through the motions without always calling them on it. I personally am satisfied to make a good living and pay my taxes at the end of the year, even if I do not always top myself. I suppose if I was a ballplayer for Joe Maddon, he would be looking to trade me for a more aggressive, type A winner. Business is not Major League Baseball. I get that, but Maddon makes $5 million a year because he can turn non-winners into winners. The best manager, according to baseball analytics, is worth five to seven games a year. Doesn’t sound like a lot in a 162 game season, but it’s the difference between making the playoffs or finishing fourth for a lot of teams. For me, the attention to detail, the periodic reminder to do something, the compliment or the thoughtful reprimand, the to-do list that actually gets done, are things that really do move the needle in a small business. Sometimes you have to fire somebody who is adequate at what they do for the firm, but they are a bad fit. 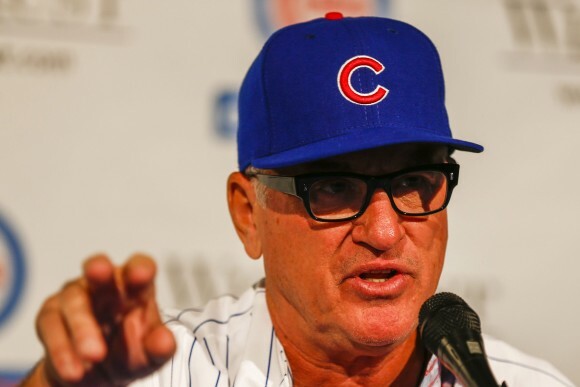 I am slow doing the hard things in my business, so I admire a manager like Joe Maddon who seems to relish doing the “right thing” even when it’s hard. Question: Do you do your best every day? If you haven’t read them, pick up books by Jim Collins. He addresses this matter very well in “Built to Last”, “Great by Choice”, and my favorite “Good to Great”. Not just good analysis of what makes a business great (rather than just good), but inspirational also. “Good to Great” is a nice platform for “starters”, but why not go for brilliance! Lloyd I’m kind of like you. Except paying my taxes doesn’t satisfy me, it irritates me at how much they take for my work.